Home Care, (also referred to as domiciliary care or social care), is health care or supportive care provided in the patient's home by healthcare professionals (often referred to as home health care or formal care). Often, the term home care is used to distinguish non-medical care or custodial care, which is care that is provided by persons who are not nurses, doctors, or other licensed medical personnel, as opposed to home health care that is provided by licensed personnel. Licensed personnel and other persons who assist the individual may be referred to as caregivers. Caregivers may help the individual with such daily tasks as bathing, eating, cleaning the home and preparing meals. For terminally ill patients, home care may include hospice care. For patients recovering from surgery or illness, home care may include rehabilitative assistance. Home care is care that allows a person with special needs stay in their home. It might be for people who are getting older, are chronically ill, recovering from surgery or disabled. 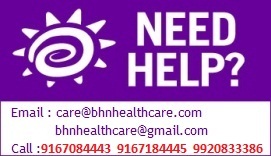 BHN provides you with Nurses and Nursing Aid to take care of your loved ones at home. 1. We offer special training to our care givers, so they are geared to meet the individual’s needs. 2. We also provide help for people who are recuperating from major illness or surgery.